Will My Check Engine Light Reset itself after the problem is repaired?Will My Check Engine Light Reset itself after the problem is repaired? The dashboard has a set of lights that inform the driver when there is an electrical problem. You will have indicators, headlights, fuel gauge, and the engine light. There are those scary moments when the engine light remains on, and the question is, will check engine light reset itself? The engine light could reveal a minor complication or something major that if not repaired could lead to more costs and repairs. If you are sure that you have fixed the problem that the Check Engine light was showing up for, the engine light will reset itself after 10-20 successful cycles. A cycle is when the car is cold and started until it’s at operating temperature. However, it can be really difficult to know which problem is causing the check engine light is showing up for without a diagnostic scanner. Modern cars have an onboard computer that diagnoses car problems. If you have fixed the problem, but the light persists, you will need a scan tool like OBD reader. Connect the scan tool to the onboard diagnostic connector. This should be found under your steering wheel. Turn the ignition on and press the “read” button on your scan tool. You should be able to read a set of error codes. Write these for future reference. Once you are done press, the erase button on your scan tool, and this will clear them. The scan tool is an easy way to respond to queries on will check engine light reset itself. While your car is motionless turn the ignition on and off with a second lag time. Repeat the process three or four times and then drive a short distance to see whether the engine light will go off. If not try disconnecting your battery. If you want to reset the electrical components in your car, you can first turn off the ignition and then disconnect the battery cables. A pair of pliers or wrench is useful for this. There is often some charge left in the battery electrical system, and you can drain this power by pressing the car horn for 30 seconds. Wait for 15 minutes before reconnecting your car battery terminals. The engine light should have reset itself for most cars, but if it persists, it could mean that your car has other serious issues that need mechanical assistance. 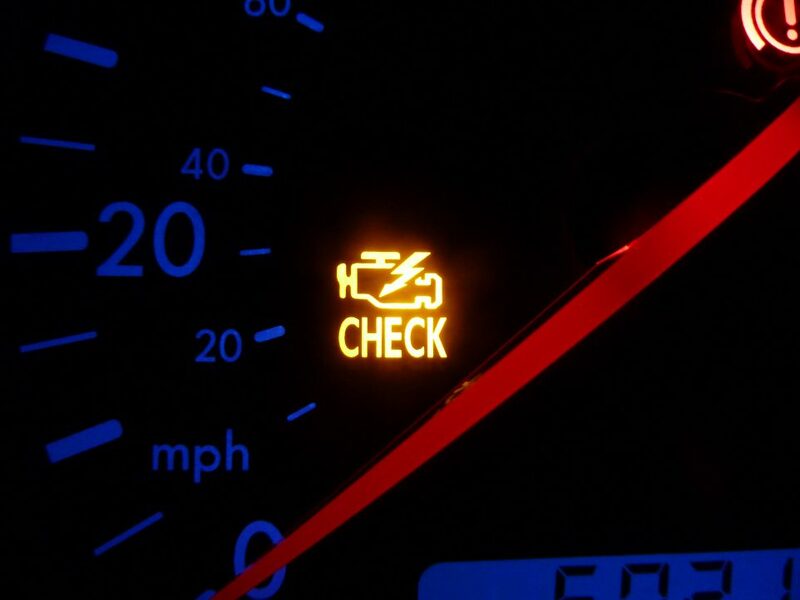 Most cars have a self-correcting mechanism for resetting the engine light. The simplest way to reset the engine light is to drive the car with the light on for several miles. The onboard computer will detect the problem and turn off the light. If you notice the engine light is still on after three days, then it is time you tried some of the methods showed above or take it for mechanical repairs. Check out this article for more techniques of how to reset your check engine light. If you have seen this light go on the dashboard, please do not ignore it because it could lead to more serious problems. The onboard computer will rectify itself, and the light will eventually go off. You may want to know why the light turns on. Most modern cars have onboard diagnostic systems. This system consists of a car computer that monitors various sensors in multiple car components. If your car has a problem, the sensors will capture this problem and send the information to the onboard computer that will then display a warning light on the dashboard. The engine light is has a different color depending on the make of the car. Some are orange, red or yellow; while some have the word check engine. The light can either flash or remain on for some time. If it is flashing, stop what you are doing, pull over, and shut off the engine. This is one of the most common human error reasons for the engine light to remain on. Gasoline powers your car and after fueling up, you may forget to replace the gas cap. This can be extremely dangerous because gasoline is highly inflammable. You will know that the problem is with the gas cap if it turns on immediately after filling up. Stop the car immediately and tighten the gas cap. If it is lost do not drive without one. Oxygen is a crucial component in burning of gasoline in the engine. The oxygen sensor is useful for measuring the amount of unburnt oxygen in the exhaust system. When the oxygen sensor is not working the car burns more fuel, and this will eventually destroy the catalytic converter or spark plugs. The engine light will come on when the oxygen sensor starts malfunctioning. Head to a service station to get it replaced if you do not want your car to fail the emission test. Will check engine light reset itself if you have bad spark plugs? The answer is no. 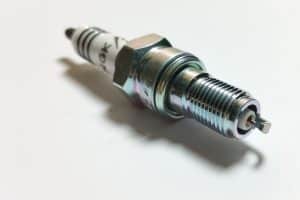 Spark plugs get their electricity from the ignition coil, and this enables them to emit a spark that ignites the air and fuel mixture in the cylinders. If the ignition coil is faulty the check engine light will turn on. Old and expired spark plugs will cause the engine to misfire, and this will cause you to spend more on fuel. Taking your car for regular service can eliminate this. Not all alarm systems are effective. Some cheap makes can drain your battery charge, and some can trigger the engine light. In the worst case, they can prevent your car from starting. If this is the case, you can remove the faulty alarm and replace it with a better one – though costly. Sometimes the cause of all your dashboard problems could be a battery worse time has expired. 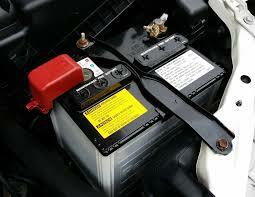 You will first need to determine whether the battery can be recharged or you need a new one. A good battery should last you 5 to seven years. The question of will check engine light reset itself is often asked by many drivers. It can be irritating driving with a car with a flashing check engine light. The first thing you should do is stop over and check whether anything is wrong with your engine components. If all is good, the light should go off after driving a few miles. You can also use a scan tool to reset the onboard computer. If you do not have one, disconnect your car battery and wait for 15 minutes for it to reset. What is a Boost Pressure Sensor & P0236?